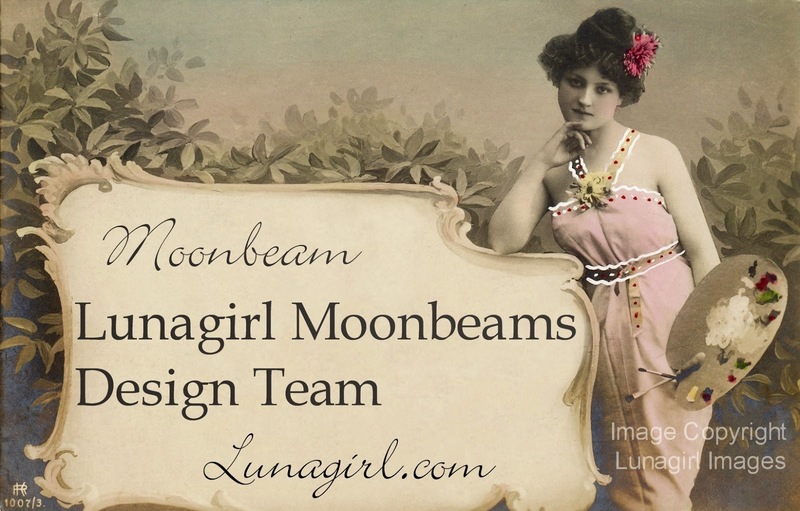 I am so pleased to welcome two very talented and accomplished artists to the Lunagirl Moonbeams Design Team. Starting with the next challenge (which begins next Friday, January 9), CorinneMarie and Shelby Pizzarro will be joining the team and sharing their work with us. I am very excited that Corinne and Shelby have agreed to join. Both create beautiful, fascinating, inspiring art. CorinneMarie is a gifted digital artist ~ you may have seen her truly gorgeous digital collages in some of the challenges here. Shelby is a printmaker, commercial illustrator, and inspired collage artist ~ and she shares my love of bellydance (although she is a professional and much better than I am!) I know that you will enjoy seeing both artists' creations. And don't miss the next challenge ~ now moving to FRIDAYS so the next challenge starts January 9. In the meantime, you still have plenty of time to play in the Winter in Pink challenge which continues until Thursday! Woo hoo Congratulations Shelby and Corrine!